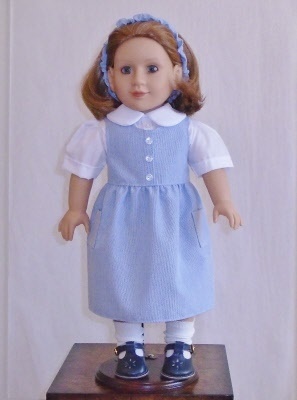 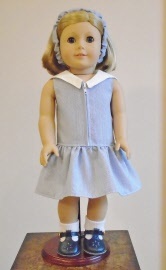 These Summer Weight Jumpers are popular in warmer weather and look great on your favorite doll. This Dropped Waist Jumper is ready for Summer. 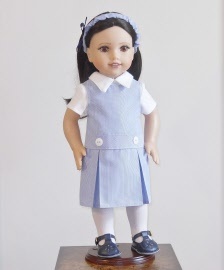 The zip front and sailor collar with lightly gathered skirt are details not often seen in school uniforms.